With its fifth consecutive appearance on the Inc. 5000, Tom Ferry International joins the Inc. 5000 Hall of Fame. Tom Ferry International, the top-ranked real estate coaching company worldwide, earned its fifth consecutive ranking on the Inc. 5000, an annual compendium of the fastest-growing private companies in America. As a five-time recipient of the Inc. 5000 award, Tom Ferry International also becomes an Inc. 5000 Hall of Fame honoree. Revenue of $29.9 million in 2016 and three-year growth curve of 182 percent ranked Tom Ferry International No. 2042 on the list. The company’s previous highest ranking was No. 2088 in 2016. Tom Ferry International employs 122 people in its Irvine, CA headquarters and another 151 business coaches worldwide. The company was founded in 2004. 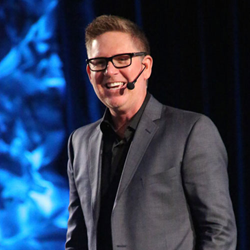 As a leading real estate coach for nearly 30 years, Tom Ferry is a well-known public speaker and business coach, providing real-world, hands-on training to real estate professionals worldwide. His seminars and events attract thousands of success-minded industry professionals annually. His Irvine, CA-based company, Tom Ferry International, employs more than 150 business coaches and a total staff of nearly 300 employees.